We see a lot of wedding gowns in our position, and to be honest, we never really tire of their remarkable beauty or how incredibly special every wedding gown is. But when Sareh Nouri sent us her latest Iris ballgown it summed up everything we love right in one incredible wedding dress. The dreamy 'Iris' ballgown is full of beauty and grace. 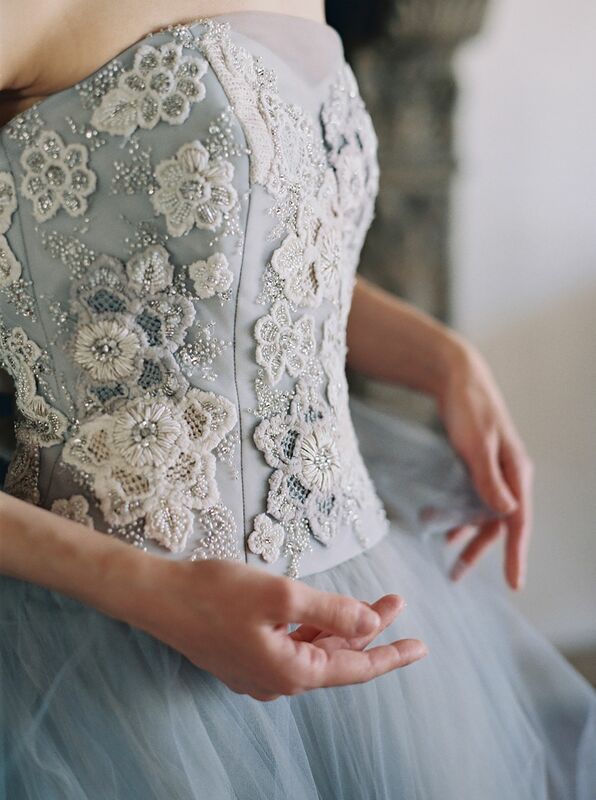 The unique bodice has layered appliques with champagne, ivory and grey tones, completed with a touch of sparkle. The skirt is made with layers upon layers of grey and hints of blush tulle. Take a peek and enjoy all the beauty of this gown and gorgeous photo shoot. Sareh Nouri wedding gowns are available at Blush Bridal in Vancouver and Anna Be in Denver. Not to mention a host of bridal stores throughout the United States and the World.